Gorse, Whin, Furze, Prickly Broom. 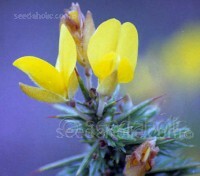 Gorse are usually associated with western Britain and Ireland. At its best in spring, it blooms with an explosion of yellow, the flowers have a distinctive strong coconut scent. Gorse bears some flowers year round, hence the old country phrase: “When gorse is out of blossom, kissing is out of fashion”. 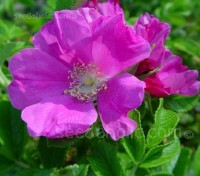 Rosa rugosa is the original form of the species that founded the Rugosa Class (1796) and is one of the highest rated roses by the American Rose Society. Eagerly used by hybridisers in the late 19th Century and is again being used by serious hybridisers again today. 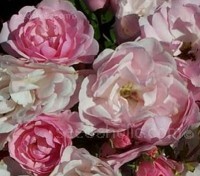 Prized for their beauty, fragrance, novelty and adaptability, miniature roses are the queen of flowers. This diminutive Chinese native grow to about 12 to 18 inches high in containers and baskets and blooms just 3 to 5 months from sowing. 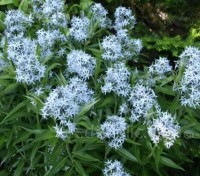 Although hardy, it can be grown as an annual when started early. 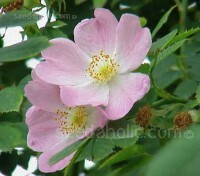 The wild rose bursts with lightly scented, usually flesh pink flowers (though they can be pinker or whitish) in summer. They are followed by a terrific show of bright red hips, they can be used to make jam, jelly, syrup, marmalade and wine. Delicious and an excellent natural source of vitamin C.
The lush growth, coupled with the large, glaucous leaves of Melianthus major has made it as fashionable as tree ferns. If you don't want to mimic the rain forest, try growing it amongst slender-leaved grasses and perennials. The plants add texture and provide a good background to bright colours in the garden. Euphorbia x pasteurii has only been on the garden scene for about four years. With yellow honey scented flowers from April to June and clothed in narrow, leathery evergreen dark green leaves with a distinctive, creamy-white central midrib, it makes a very attractive, rounded architectural form. Euphorbias give us some of the best early spring herbaceous colour, but Euphorbia polychroma has the most impact. 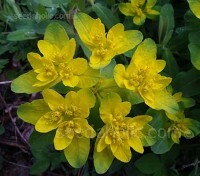 This compact variety grows to only 50cm with a great mound of yellow-green flowers in spring and echoes the daffodils. 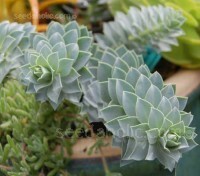 Euphorbia myrsinites is a charming plant, a prostrate-growing evergreen with trailing stems that are clad in spiraling grey-blue leaves. 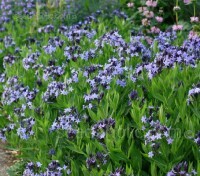 An easy, tough, tidy groundcover and one of the most useful and highly ornamentally plants to grow in the garden. 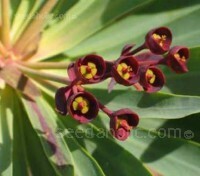 Euphorbia mellifera is grown as much for its foliage as its deliciously scented flowers. 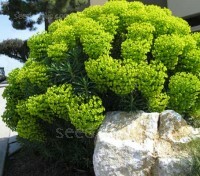 A magnificent euphorbia with stiff stems strung with whorls of bright green leaves, topped in spring with small, honey-scented, bronze-tinted flowers. 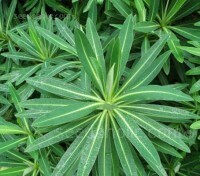 Euphorbia lathyris is an ornamental biennial plant with upright unbranched stems which carry four rows of rigidly arranged deep green leaves. 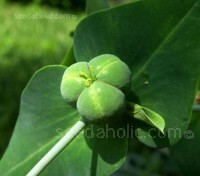 Commonly known as the Caper Spurge or Mole Plant. The seeds grow in green clusters of three seeds and look a little like Capers. 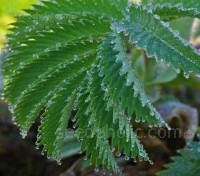 The plant is reputed to deter moles. 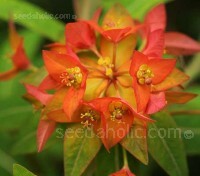 Euphorbia griffithii is plant of many talents. From June through to September, stunning, fiery, bright orange-red flowers with attractive, brick-red bracts make an eye-catching, showy feature in the border. In autumn ember-like colours, orange, red, crimson, and gold transforms the foliage like a smoldering sunset. One of the grandest of plants, Euphorbia characias 'Wulfenii' has upright stems clothed with whorls of fleshy, mat grey-green leaves that lend the whole plant a textural quality that is unparalleled. From March to June the plants are topped with intense chartreuse-green flowers'. Buddleia blooms all summer long with an intoxicating scent just as overwhelming as their colour show. There is no denying that these shrubs are butterfly magnets. If you plant one, they will find it. Have your camera ready! 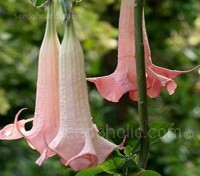 Brugmansia suaveolens, or 'Angel Trumpets' are large shrubs with lush foliage and masses of delightfully fragrant blooms. 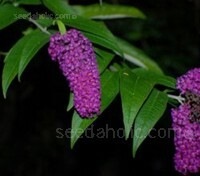 Often blooming the first year from seed, a mature plant may display as many as 80 to 100 blooms at one time. They can transform a terrace or patio into a tropical paradise. This shrubby brugmansia is a heavy bearer of stunning pendulous yellow flowers, it is delightful when grown in a patio pot and may be grown indoors with bright light and warmth, where it can be pruned to desirable size. 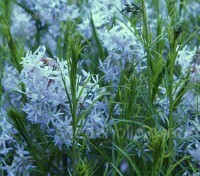 The flowers are especially fragrant in the evening. These exotic beauties, native to South America, can transform a terrace or patio into a tropical paradise. 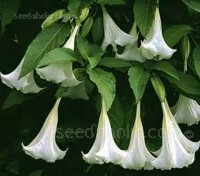 Angel Trumpets are large shrubs with lush foliage and masses of delightfully fragrant trumpets. In the cool, moist air of evening, their fragrance is spellbinding. 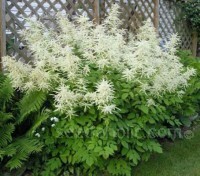 Aruncus dioicus’ commonly known as Goat's Beard or Bride's Feathers is one of the most handsome plants for the perennial bed. Its leaves are large and it has an abundance of flowers and in the autumn it turns an impressive, autumnal yellow colour. 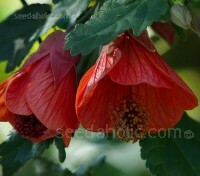 Seldom offered as seed, Abutilon x hybridum is a popular group of hybrids that are frost-tender shrubs typically growing 60 to 90cm tall. 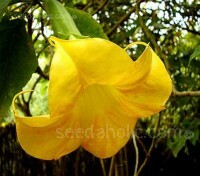 The lantern-like buds open to solitary, pendulous, bell shaped flowers up to 8cm in diameter.